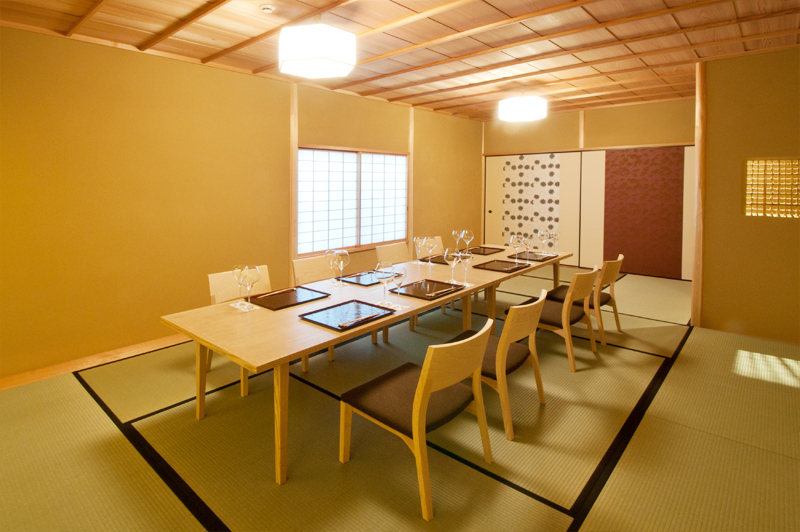 MEETINGS & EVENTS KANAMEAN NISHITOMIYA Kyoto Ryokan- Japanese style hotel. 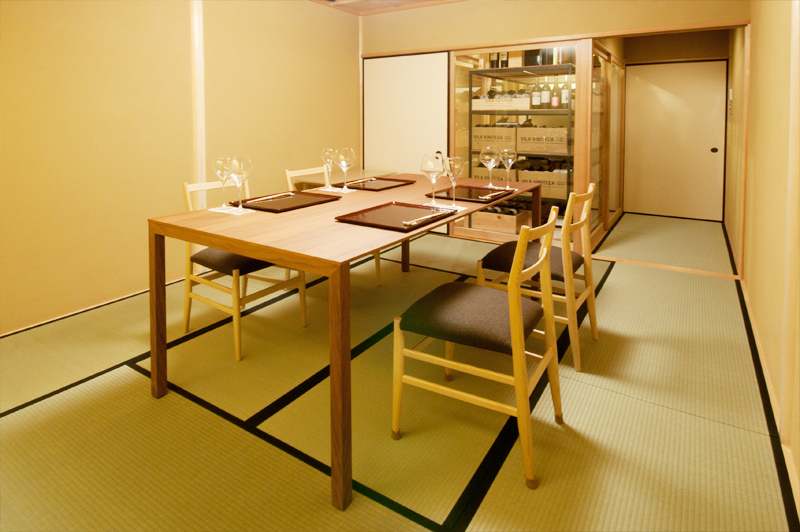 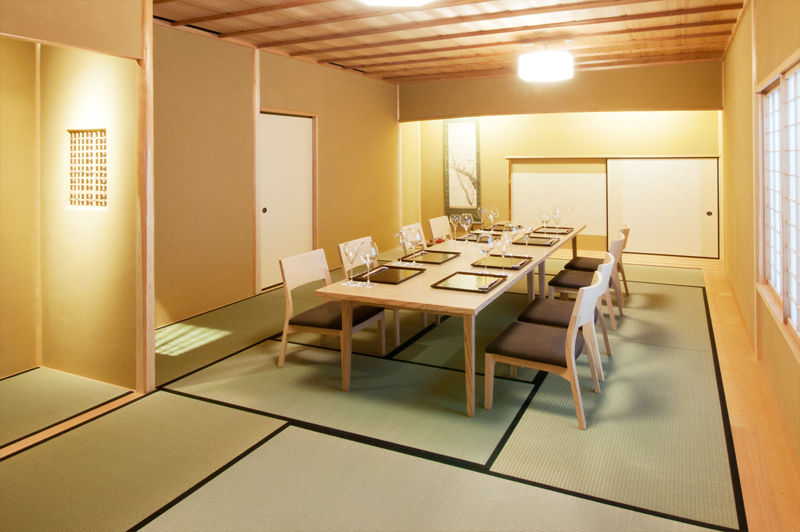 Our renovated banquet room is the perfect example of tradition and innovation, Spend a special time with your important people at Kanamean Nishitomiya original Sukiya architecture, which introduce to you the culture of Kyoto. 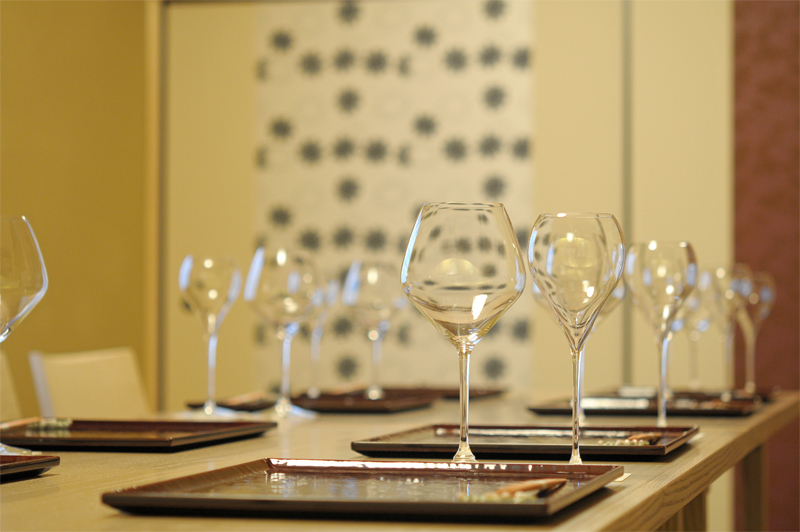 We can host different kind of parties, conferences, meetings. 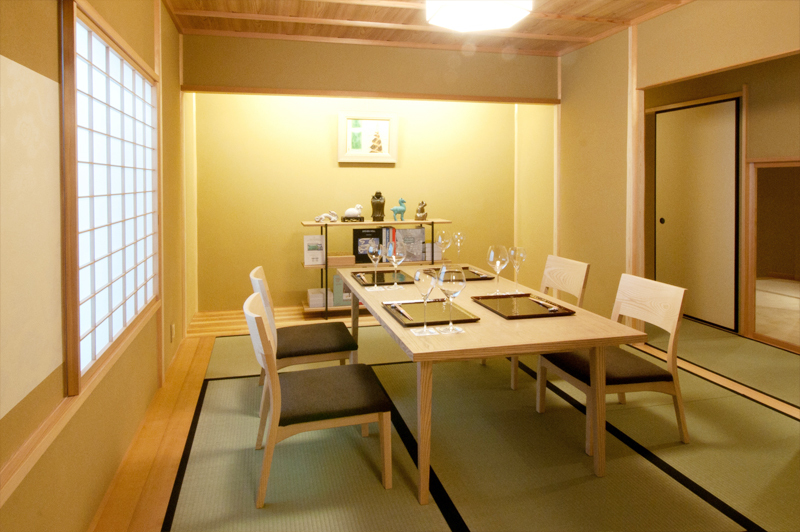 We will prepare for you specials meals and drinks according to your budget and requests. 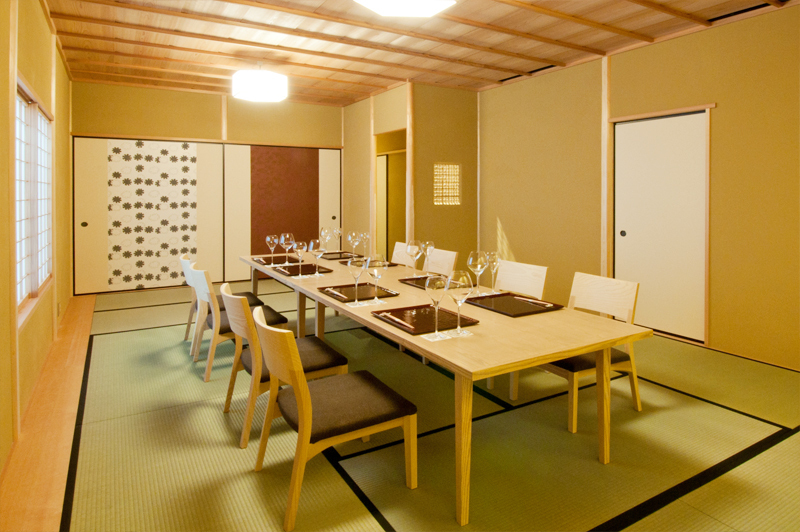 Our biggest banquet room, where guests enjoy wonderful dinners while being entertained by Kyoto`s traditional dances, delightful instruments, and unique games with Maiko and Geiko. 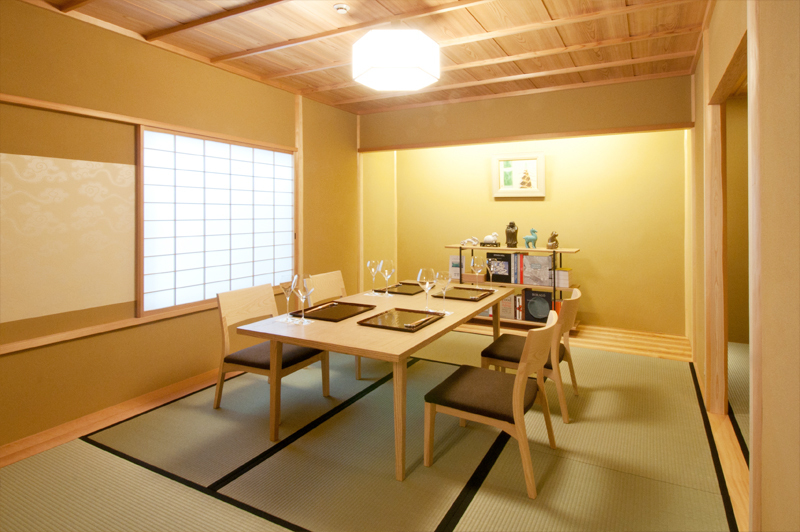 It can be used also for family's events, business meetings etc. 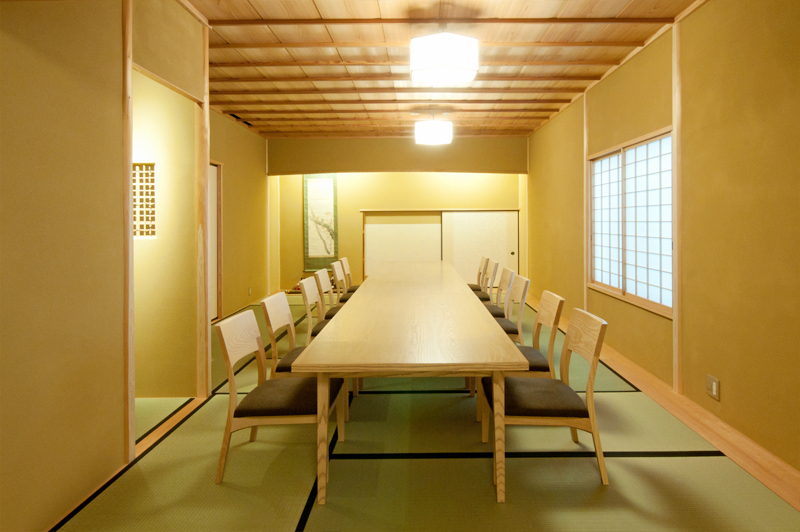 A calm space in the traditional Tea-ceremony style building. 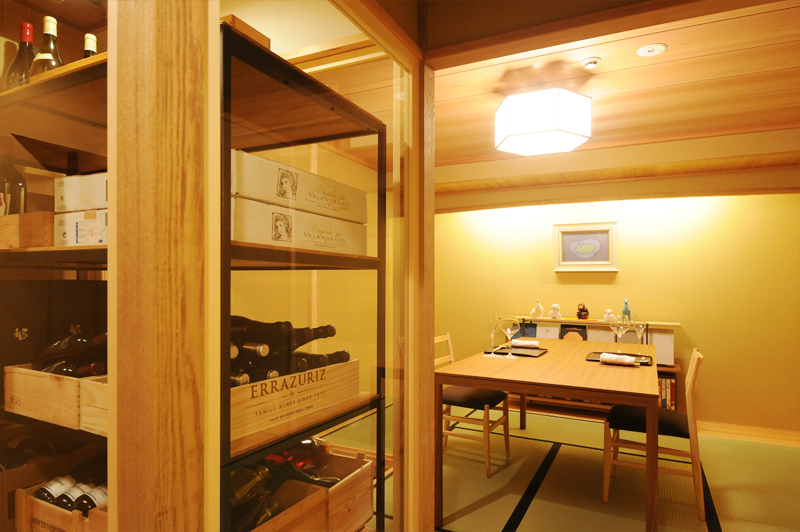 It can be used for gatherings with casual friends. 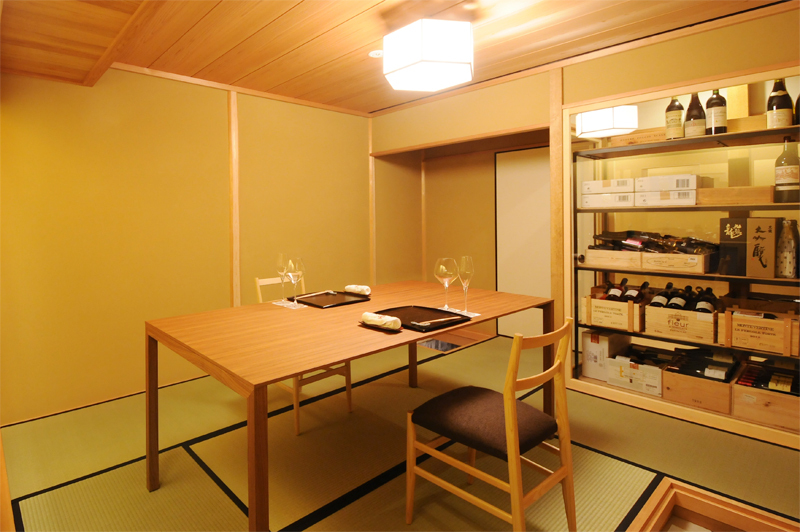 Relaxing dining room overlooking a wine glass cellar. 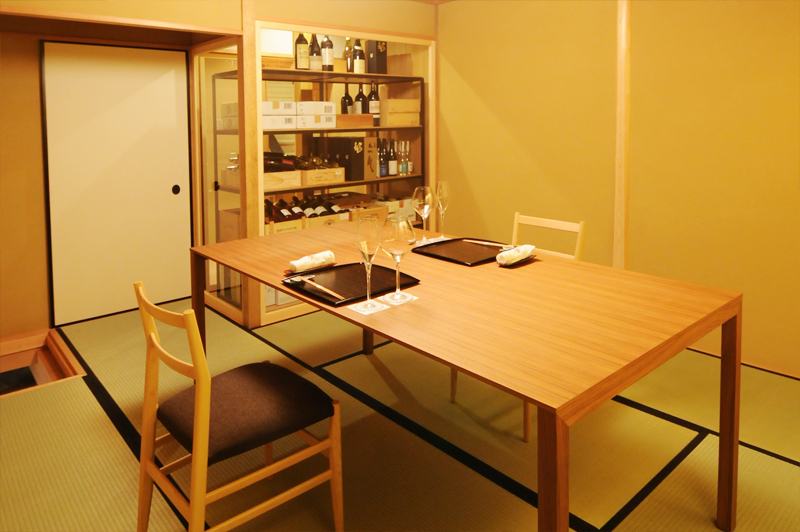 It can be used for business meetings as well. 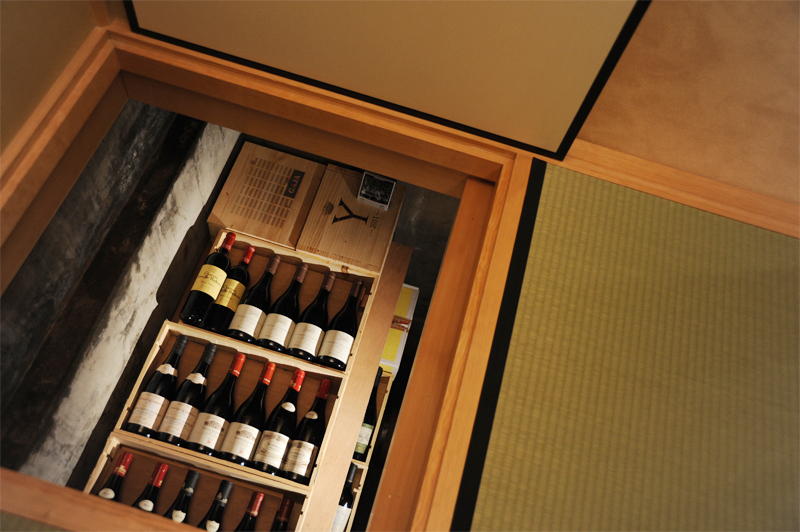 Enjoy the atmosphere of our wine collection. 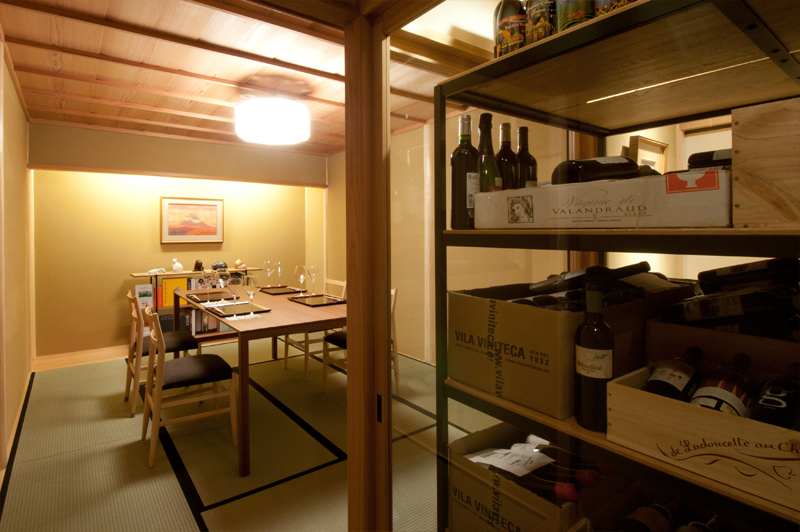 This dining room is built above our wine cave, in the past an old bunker of the second world war. 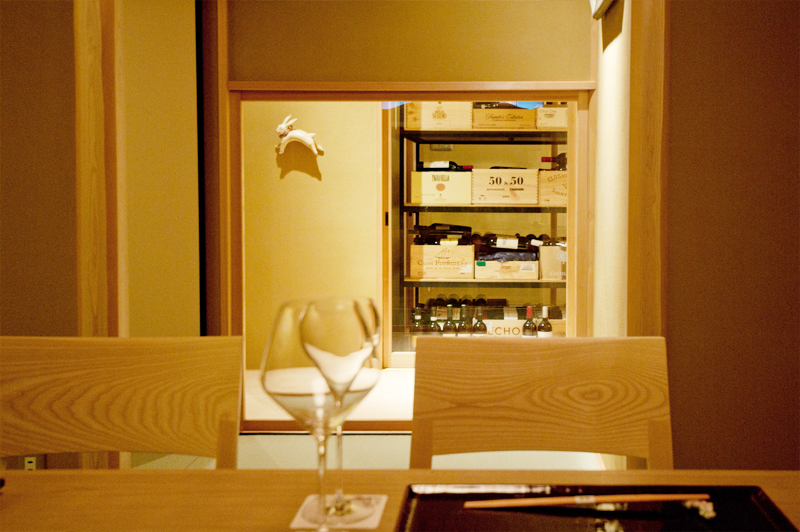 We can accommodate your special requests for meal contents. 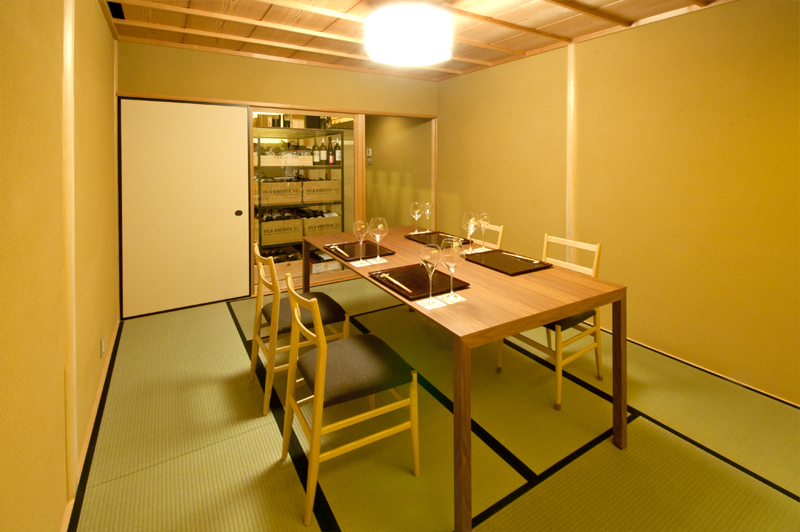 *Price per person, excluding 8% taxes & 10% service charge.